There’s no shortage when it comes to sayings about the love between a father and his family. As a daughter or son, perhaps you’re struggling to find the perfect gift that will express your gratitude and admiration for your dad on Father’s Day this year. Or, maybe you’re married to a man who adores his family, and you want to celebrate his drive and passion for providing for, supporting, and loving you and your children. Maybe it’s your grandfather’s first Father’s Day without your grandmother, and you want to give him something sentimental to honor her memory as well as his devotion and love for his children and grandchildren. 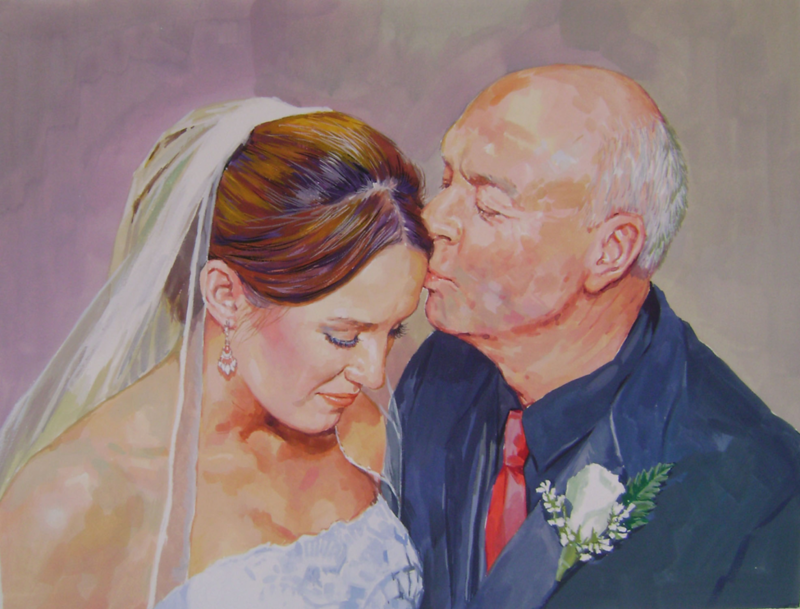 A custom hand-painted portrait is the perfect gift to show a special father or grandfather in your life what he means to you and your family. We’ve found that, time and time again, our customers at Paint Your Life are overjoyed upon receiving a unique portrait to give as a Father’s Day gift. Here are four reasons why turning a special photo into a custom portrait will top any other gift you’re considering for Father’s Day this year. #1: A Custom Hand-Painted Portrait Celebrates and Reminds Him of Special Life Events. Photos are fantastic for documenting special milestones and memories in life. However, a custom hand-painted portrait brings a unique artistic element to the preservation of memories in a way that photos can’t. Whether it be the day his first child was born or the day he walked you down the aisle to marry your husband, there are a wealth of life memories that necessitate creative reflection and remembrance. Imagine gifting him something that he can hang up at home and will serve as a daily reminder of the special times he has shared with his loved ones through the years. This is precisely why a custom hand-painted portrait is the perfect option for fathers who enjoy nostalgic and meaningful gifts. Browse our gallery, and submit your order today! #2: A Custom Hand-Painted Portrait Brings Out the Unique Characteristics a Man Shares with His Children or Grandchildren. From the dimples on his son’s face to the unique red, curly hair he’s passed onto his granddaughter, people love to find similar physical features between a father and his family members. 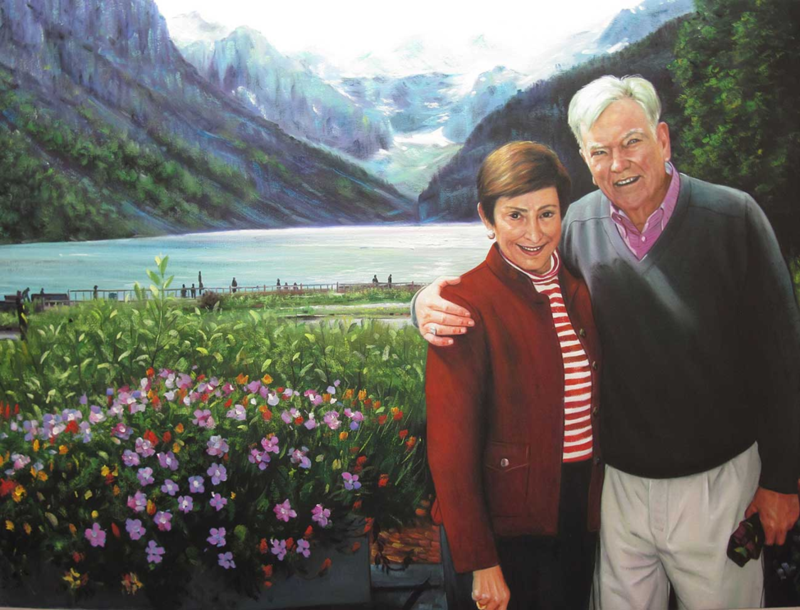 Whether using oil paints, acrylic paints, or another medium, the talented artists at Paint Your Life have an eye for detail, and they ensure that these special and unique physical traits are portrayed in your gift. As you can see from the sample portrait above, art pieces that bring together a father and his beloved children serve as reminders and sources of pride for all that he has passed on. See more examples, and submit your order in time for Father’s Day! 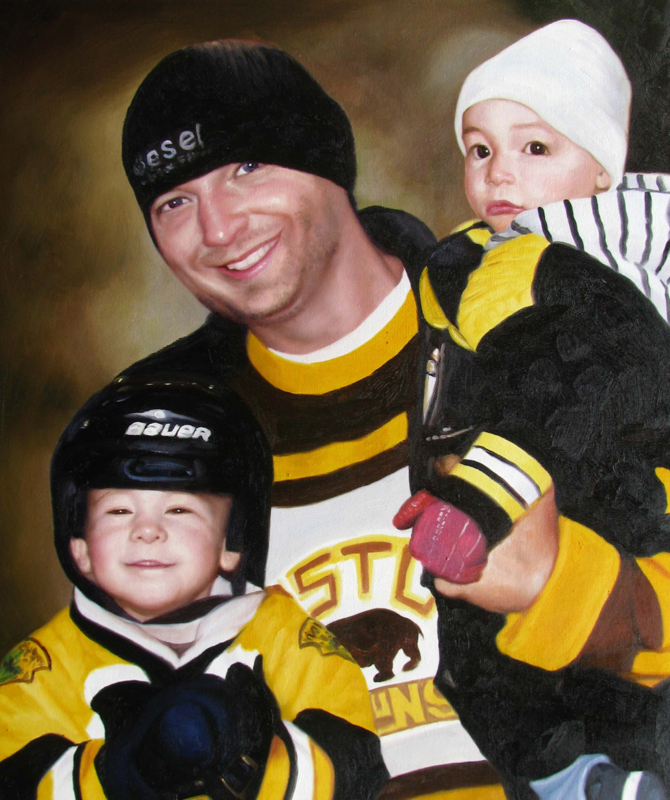 #3: A Custom Hand-Painted Portrait Enables Fathers to Reflect on Their Role as Parents or Grandparents. From his children’s infancy and childhood to teenage years and beyond, finding ways to encourage a father to look back on his years of childrearing is a gift in and of itself. Our customer Kelsey, who ordered the portrait above, was delighted with how it turned out. 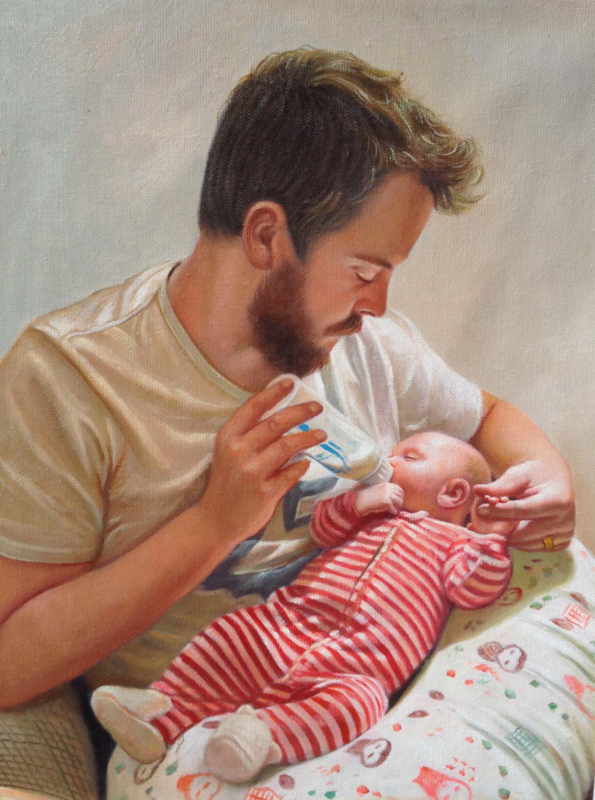 Whether the portrait was for her husband or close family member, we’re sure this father was deeply touched by the memory of feeding his newborn child. Check out more customer portraits here, and submit your order ASAP! #4: A Custom Hand-Painted Portrait Can Bring Gorgeous Memories and Scenery to Life in a More Artistic Way Than a Photo. Maybe it was the trip he took with your mother last summer to the mountains. Or the photo of him and you when you were a child standing in front of the house you were raised in. In all of these cases, our talented artists never fail to capture the beauty of the setting, people, and other characteristics in a way that a photo simply can’t. No matter what, your father, grandfather, husband, or another loved one will be touched by the fact that you sought out something truly unique and sentimental for his Father’s Day gift this year. Head over to our Father’s Day portrait gallery to see more examples of past customers’ portraits for the special fathers in their lives. From there, be sure to submit your order with enough time in advance before Father’s Day 2018!